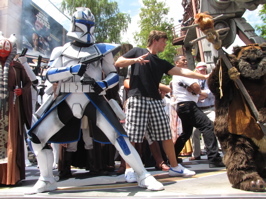 Today we have photos and exclusive video from 2009’s third Star Wars Weekend at Disney’s Hollywood Studios! 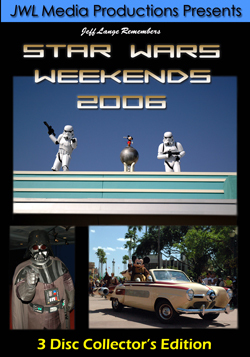 I also have available my Star Wars Weekends 2006 3-DVD Set featuring all of your favorite adventurers from that year (click HERE for more information)! 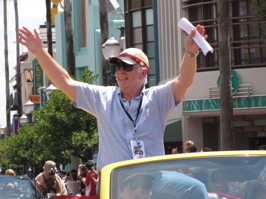 Jeremy Bulloch (Boba Fett) waves to the crowd. 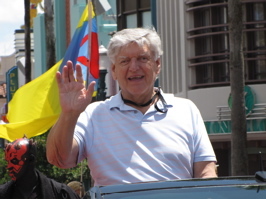 Following him is David Prowse (below, right). All 3 weeks have been great, but this weekends guests really played off each other well. Both are wonderfully kind to their fans as well. The stars of the weekend join Star Wars characters (below, left). Matt Lanter (Anakin Skywalker in Star Wars: The Clone Wars, as well as an actor in the new 90210) poses for the crowd (below, right). 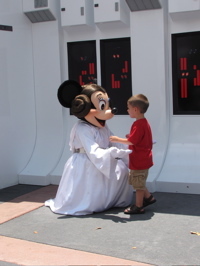 Leia Minnie greets a young fan (below, left). Aurra Sing grabs a young boys head with her long nails (below, right). David Prowse signs autographs (below, left). 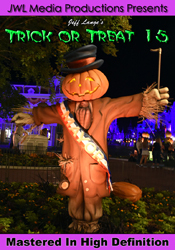 Some fans wait all night for that! 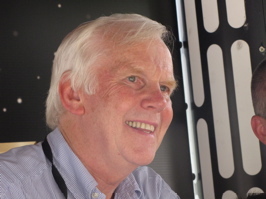 Jeremy Bulloch poses for a photo (below, right). Star Wars Weekend #3 was another fun and exciting chapter in this exciting annual event! We also have full photo and video coverage of Star Wars Weekend #1 HERE and Weekend #2 HERE! Video #1 – Star Wars Weekend 2009 Legends of the Force Celebrity Motorcade, Sunday June 7th Part 1 of 2. 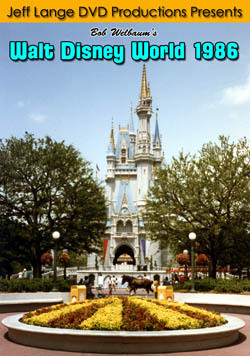 All of your beloved Star Wars characters take part in the grand motorcade including the 501st Florida Garrison. 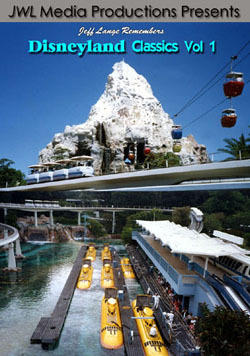 Video #2 – Star Wars Weekend 2009 Legends of the Force Celebrity Motorcade, Sunday June 7th Part 2 of 2. 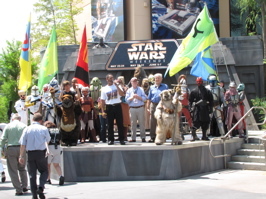 This parade included weekend three celebrities David Prowse, Jeremy Bulloch and Jay Laga’aia. 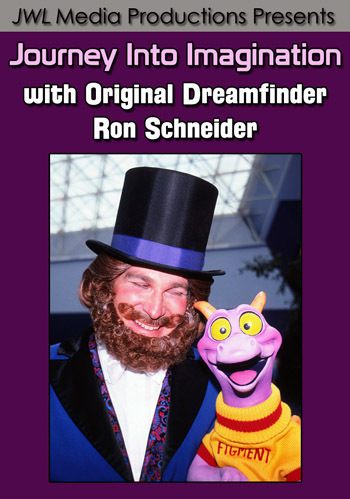 Video #4 – Star Wars Weekend 2009 – Stars of the Saga: Celebrity Talk Show. Jeremy Bulloch and David Prowse talk for a couple of minutes in this clip before donning the Mickey Ears for the ending song with Jay Jay Laga’aia. 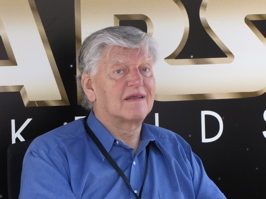 Video #5 – Star Wars Weekend 2009 – David Prowse Signing Autographs. Davis Prowse signs a photo of himself as Darth Vader, then points to it and points to himself. 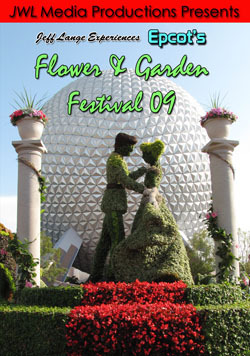 Video #6 – Star Wars Weekend 2009 – Aurra Sing at Star Wars Weekends. All of the cast members do a great job, but the Aurra Sing actress is amazing and always draws a big crowd. 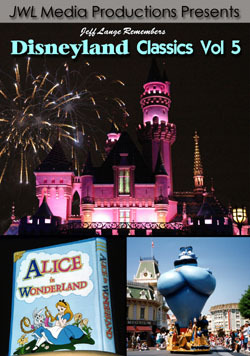 Also available is my Star Wars Weekends 2006 3-DVD Set – Available HERE! 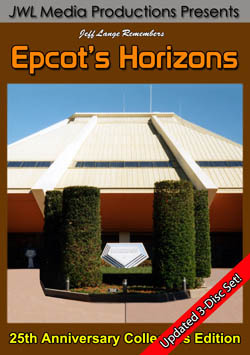 Jeff Lange brings the force home to you in this Must Have 3-Disc Collectors Edition featuring Star Wars Weekends 2006 at Walt Disney World. 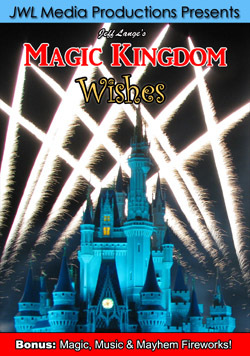 All your favorite Star Wars Weekends adventurers are here including: Stormtroopers guarding the gates, Legends of the Force: A Star Wars Celebrity Motorcade, Celebrity Welcome, Wicket’s Warehouse, Stars of the Saga celebrity interviews, Jedi Training Academy, Hyperspace Hoopla and much more!